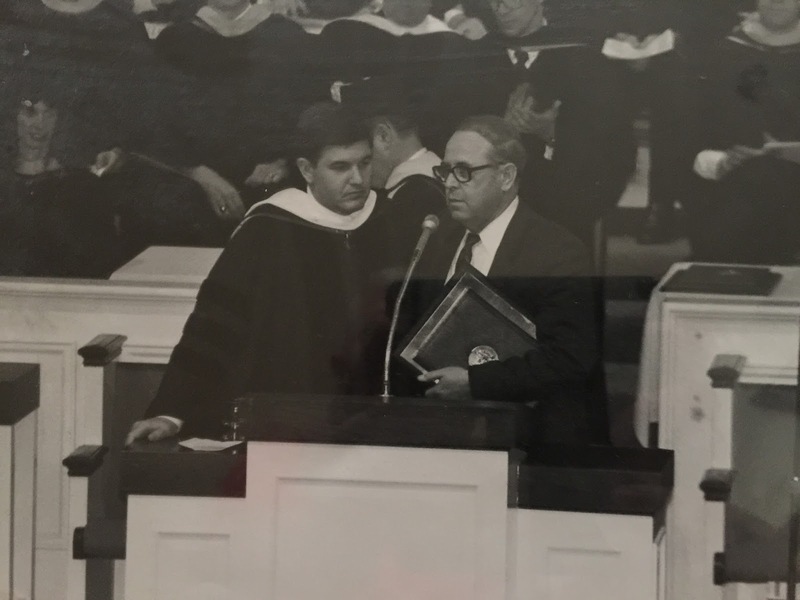 Forty-four years ago this April second I was ordained as an American Baptist preacher. I was not a pastor. I had given my life to the ministry, but I was still in training. I was also a member of an American Baptist church. While still a part of that denomination I became acquainted with Dr. John Rice and Dr. Jack Hyles among others. It was then that I began to understand that I was not a denominational man, and became an independent Baptist. Now let me explain clearly that I did not become an independent Baptist pastor first. I became an independent Baptist first. I fought the denomination that told me to submit to it, which means I was forced to defy my own pastor in order to be independent. It cost me something to be an independent Baptist. Nowadays we think that being an independent Baptist merely means you are a pastor or a member of an independent Baptist church. Let me make something very clear. I was an independent Baptist before I was a member of an independent Baptist church. I was an independent Baptist before I ever went to an independent Baptist College. 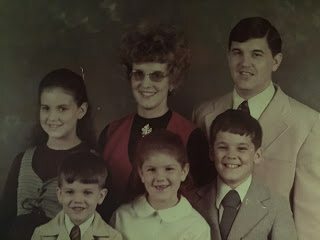 I was an independent Baptist before I ever became an independent Baptist pastor. Listen carefully! I am not an independent Baptist pastor or a member of an independent Baptist church first. I am an independent Baptist preacher first. I do not bow to the control of another. Although I am a member of an independent Baptist church, I am still an independent Baptist preacher. I was an independent Baptist pastor, but before and after that I was an independent Baptist preacher. So that said, why would I be less independent today after years of pastoring an independent Baptist church than I was before pastoring an independent Baptist church. Why would I allow someone to control me now? I am still an independent Baptist preacher. I have spent my entire life being independent of independents. I became independent of Hyles-Anderson College when I saw it changing direction. I independently decided not to send my students there even though it was my alma mater. As an independent Baptist preacher, I preach what God lays on my heart to preach. I preach where God wants me to preach, I don’t ask for anyone’s approval. If I need someone’s approval to preach somewhere then I’m not much of an independent Baptist preacher. I’m not dependent on a church or a pastor to give me my orders from God. I am an independent Baptist preacher. I don’t need a college to tell me what I can do, and I don’t need a church to tell me what I can do. I have been an independent Baptist preacher longer than I have was as independent Baptist pastor. You see I believe being an independent Baptist preacher is a cause. That cause is to not allow people to tell me what I can do, where I can preach, and what I can believe. When someone tries to control me they are testing my independence. I fought that battle 44 years ago. I made that choice then. I’m not going to undo what I did then. Let me tell you what concerns me. We have far too many independent Baptist pastors who never had to become independent Baptist preachers. Did you get that? That’s just what they always were. It’s their heritage, not their cause. They’re not even aware of what that means in many cases. If you never had to fight to be independent then you really don’t know what it means to be independent. Think about that carefully. Independent Baptists have become a bit too dependent in this day and age. It seems that we are almost discouraging independence. What made the great men that I followed appealing to me was that they were renegades. No denomination, no institution, not even a church dictated to those men what they could do. Most of them got kicked out of something or walked away while they were being pressured to conform by others. That’s what made them the men they were. They fought for their independence. One of the problems with our country is that we have inherited independence, but our generation never had to fight for it. We are many generations removed from those who had to fight for independence so we don’t even know what it means anymore. As a result America has become more of a dependent country than an independent one. The Donor Class, Rhino Class, and Washington Establishment have evolved into a selection process rather than an election process in the choosing of our government leaders. That is the reason there is a political eruption in our nation at the moment. In the climate of our independent Baptist world there is a denominational spirit. It seems as though everyone has to belong to something and get their permission from someone. That’s not what I joined. Come to think of it, I don’t remember joining anything. I remember walking away from something. I simply found friendship with other independent preachers. The longer we remain a part of something the more that something becomes a controlling entity. That’s a danger. When pastors think they can control preachers they are demanding they give up their independence. I’ll be very clear. I gave up too much to be independent to go back to being controlled again. I wish some of you younger men had to fight like we did. I wish you hadn’t been born into your title of an Independent Baptist entitlement mindset. I wish you would’ve had to fight and pay a price for it too. It may be time for some of the independent Baptist to become independent again. God knows we need some courageous old fashioned independence. Now, being an independent preacher means that I choose to depend on some people for some things. The operative word there is “choose.” It does not mean that I do not need others. I depend on other independent preachers for counseling. I’ve chosen to depend on an independent Baptist pastor to teach and preach the word to me, but not to control me. I do not stick my nose in his ministries and he best not stick his nose into my ministries. If the pastor wants soul winning at a certain time that is his business. If he wants Sunday night church at a certain time that is his business. If he makes decisions about church birthed ministries that’s his business and no other man of God should meddle with those decisions. Why would one independent Baptist preacher allow another independent Baptist preacher to control him? That makes no sense to me. John Rice never let any independent Baptist preacher control him and that included any independent Baptist pastor. No sir, there was a time when independent Baptist meant independent. I have no bones to pick. I have no fight I want to start. However, if I feel my status as an independent Baptist preacher is threatened, then the hair on the back of my neck is gonna stand up and I am going to put on my fighting gear. Because this independent Baptist preacher doesn’t plan on losing his independence to anyone. They unsuccessfully tried to starve me out then and they will fail to coral me now. Let me state for the record. Bob Gray, Sr. is a TRUE Independent Baptist and that “ain’t a gonna” change for anyone.